Earning from the internet is a magical word and work from home is a part of it. We generally believe that we need to get out of home to earn money professionally! But, today the equation has changed, obviously for the increasing number of internet oriented people from all over the world. There are tons of people are working from home (a BBC report, 2014) and making a satisfactory amount of money by utilising the online communicating system and their talent (me also!). But, now if you’re also planning to working from home after quitting your daily job or as a fresher then, you should defiantly be aware of a few dark side of work from home job that you can minimize your difficulties in near future. So that, here I’ve mentioned 10 most important steps which will help you to overcome work from home difficulties as well as can increase your productivity! 1. Get Ready For Criticism: Although, work from home jobs is much popular than earlier, still your family members and known people will criticise you till you’re not getting the success. Because, people still believe that working from home on the internet is such a waste of time. And, believe me, you will not have any satisfactory answer to them unless you’re successful. So, it’s better that you set your mind before someone criticise you. Otherwise, it’ll kill your concentration and hope! 2. 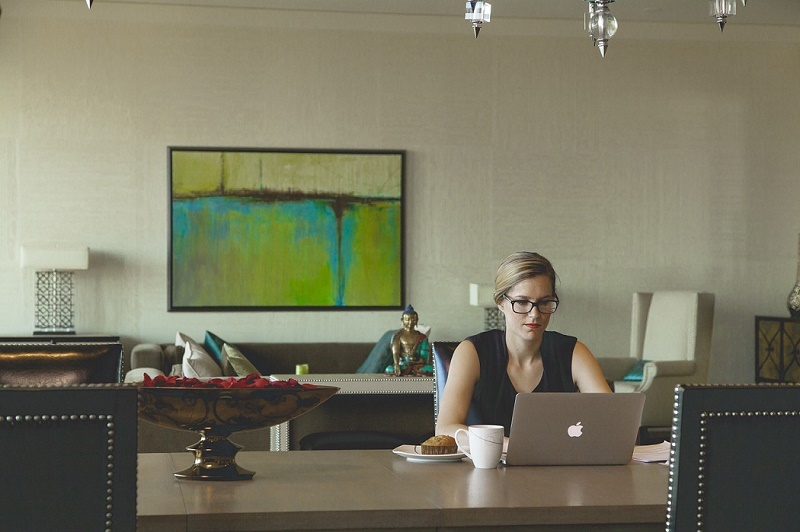 Choose A Separate Space For Working: You definitely need a separate space for work, especially when you’re serious about your work from home jobs. You might hear that, this kind of job can be run even from your bedroom! But, it’s not the one hundred percent true! You obviously can do this job from your bed, but not professionally! You must create a healthy working environment to do any kind of work professionally. Just pin the word into your brain that- work from home job is your profession and here you’re not making any joke here. 3. Set Your Time: You’re working from home, that means you can work any time you want. But, it’s only the theoretical equation. Practically, you will going to be always busy as you’ve no settled, working hours like an office. You’ll always going to feel that, something is still missing even after working all day long. If you continue to work without maintaining any discipline, then you’ll see a minimum work done at the end of the day. So, being disciplined is the key to success in work from home job. Therefore, set your working hours first and never mix your working hours with your family members and others distracting things. 4. Don’t Use Social Media Frequently: It’s natural that you need to use social media many times a day both professionally and personally if you’re doing work from home jobs. But, using too much social media can distract you from your work. So, it’s better to make a habit of using social media before and after working hours. I personally suffered with this problem for a long time in my blogging career. Most of the time I wasted my time doing unwanted chats and checking updates on social media. And, then I decided to use social media only two times a day, before and after my work hours. This technique helped me a lot to improve my blogging career. 5. Set Your Holidays: Every person needs breaks. Taking breaks from work will not only reduce your boringness, but also it can recharge your working power and boost your creativity naturally. Now if you work for them, you’ve no holidays at all. Because, as mentioned earlier that you might feel something is still missing even you’re working hard! So that, if you work continuously without taking any break then, probably your working power and creativity will lose soon. At this point, an office guy is much happier than a work from home guy. If you work in an office, then, you can get-out with your friends and family to watch movies every weekend, or you can sleep all day in public holidays. But, if you work from home then you’re going to loose all these necessary enjoyments naturally! After a few months, you will feel that you’ve made a long distance with society, even you’re in the society from the beginning. So, set your off days to enjoy your life and to meet people in real life not virtually! 6. Keep Your Personal Laptop/Mobile Separate: It’s also an important move I think! You need to keep your working devices separate from your personal laptop/mobile. I mean to say that, don’t use your working devices as entertaining purposes such as storing movies, pictures, adult videos, etc. All these things really distract you from work. It’s better to use a separate device for entertaining purposes. Take your working space as your own office. 7. Play Outdoor Games or Jogging Regularly: Your body and mind is directly related to the each others. You have to keep your body healthy in order to keep your mind healthy and productive. Now, as a work from home worker, it’s very natural that you’re spending most of your time sitting on a chair. So, probably you might suffer from many diseases like gastric, Spondylosis, digestive problems, etc. Therefore, playing outdoor games and jogging is recommended for you to keep your body fit and active. Not only that, outdoor games will increase the oxygen supply to your brain, which helps to boost your brain power. 8. Prepare Your Growth chart: Yes, you definitely need to prepare a growth chart that you can measure your work. Because, here nobody will push you to complete a project on time (like an office). You have to do it yourself without any time, limitation and guidance. So, here is really difficult to figure out how you are progressing. Growth chart will also kick you to do your job more seriously like a boss. 9. Discuss Your Progress With close People: It might sound crazy but, I think discussing your work progress with others and getting positive comments will motivate you for the next level hard work. Not only this, it can also help you to minimize your negative criticism. I personally tested this. 10. Make Real-life Relation With Relevant People: You might have many friends who working from home like you on Facebook, Google Plus, LinkedIn and many other social network. But, all those are all virtual not real. So, they can’t help you like a real friend. So, I recommend to make real friends who work from home like you. It’ll help you both to spot out the faulty parts of your works and also helps to make new decisions.